On the occasion of the 50th year of linguistics at BU, the Boğaziçi Linguistics Student Circle (BLC) wishes to expand the scope of our biannual student presentation event to include presentations by students from other departments as well as other universities. We aim to create an opportunity for students to interact with other students and scholars working on experimental and theoretical linguistics, outside their immediate academic community. 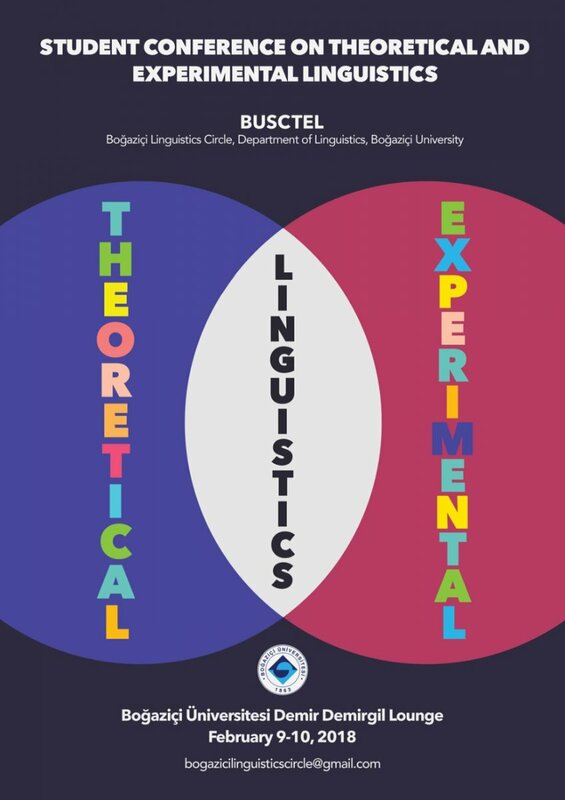 Therefore we, as BLC, are glad to announce the first BU Student Conference on Theoretical and Experimental Linguistics, where students from graduate and undergraduate levels will be presenting their work. The conference will take place on February 9-10.Boğaziçi students are all invited! Should you want to attend the conference, you will need to register.